The tortuous route to apprehending the Holocaust’s chief henchman was full of surprises. No one could believe what squalor Eichmann lived in, or how ordinary he seemed. Jack Higgins, The Bormann Testament, a novel that was originally published in 1962 with a different title: The Testament of Caspar Schultz. Sitting in his comfortable living room in his strikingly modern house in the Afeka neighborhood of Tel Aviv in March 2014, Rafi Eitan was in a relaxed mood as he looked back on his long service in the Mossad—and the highlight of his career, leading the commando unit that seized Adolf Eichmann near his home in Buenos Aires on May 11, 1960. He talked about his good fortune to purchase the land for his house in 1950, when he was just starting in the Mossad at age 24. The property was cheap then because there were no bridges across a nearby river that separated the area from the city just south of it, and there was no electricity or running water. “I said I’ll buy the land and one day I will be in a private house in the middle of Tel Aviv,” he said, flashing a contented smile. Today Afeka is an upscale neighborhood of chic villas and apartment buildings connected to the downtown area by pristine highways. But his house is set on a quiet street that looks like it could belong to a Mediterranean resort. The main floor is filled with flowers and plants and is flooded with light—from glass doors that open on his patio and garden, and from a large skylight. Bronze and iron wiry, minimalist sculptures of animals and people decorate the entry hall and his book-lined study. They are the product of his favorite hobby, crafted by the same powerful pair of hands that helped lift Eichmann into his team’s waiting car on that fateful day more than a half century ago. A small man, Eitan had built up the strength in his arms and hands by climbing ropes in his youth. As he began to recount the story of the most famous kidnapping of the modern era, Eitan—who is a Sabra, as Jews who were born in Palestine or later Israel are called—let slip that he visited Germany for the first time in 1953. As he stepped out of the train in Frankfurt, he recalled thinking to himself: “Just a few years ago, eight years ago, if I would be here, probably I would be executed. But now I am a representative of the Israeli government.” He hastened to add that his visit had nothing to do with Nazi hunting. One of the great myths of the postwar era was that Israeli agents were constantly scouring hideouts all over the world, relentlessly tracking down Nazi war criminals. Nothing could be further from the truth, he explained. When he showed up in Frankfurt, his mission was to meet with the Mossad agents charged with monitoring the Jews arriving from Eastern Europe and the Soviet Union and then proceeding to the new Israeli state. Avraham Shalom—an Austrian-born Mossad agent who later became the head of Shin Bet, Israel’s internal security service—served as Eitan’s deputy for the Eichmann operation. In an interview at his home in Tel Aviv three months before he died in June 2014, he echoed Eitan’s sentiments—and took them one step further. “I was never interested in Nazi hunting as such,” he admitted. His attitude had been that the best solution for Jews who were upset by the thought that so many Nazi criminals were still at large “was to come and live here,” he added. In the early days of Israel’s existence, there was simply not enough time, energy, or desire to hunt Nazis. That led Eitan to shrug off the controversy that surfaced later about the value of Wiesenthal’s 1953 tip from the Austrian baron about the Eichmann sighting in Argentina. Even if Wiesenthal had provided more precise information about Eichmann’s whereabouts, Eitan asserted, Israel was in no position to dedicate the necessary manpower and resources to track him down that early. The struggle for Israel’s survival in a region filled with enemies trumped everything else. By the late ’50s, however, Prime Minister David Ben-Gurion and other top Israeli leaders were feeling more confident about their fledgling country’s prospects. The notion that they might authorize a major operation to seize a notorious Nazi war criminal no longer seemed far-fetched. That is, if such an opportunity presented itself—if, in effect, the opportunity fell into the lap of the Mossad. On September 19, 1957, Fritz Bauer, who by then was attorney general of the West German state of Hesse, arranged a meeting with Felix Shinar, the head of Israel’s reparations mission in West Germany. To make sure it was as hush-hush as possible, the two men met at an inn just off the Cologne-Frankfurt highway. According to Isser Harel, the Mossad director who would later issue the orders that sent Eitan, Shalom, and other operatives to Argentina to kidnap Eichmann, Bauer came straight to the point. “Eichmann has been traced,” he told Shinar. “And what do you intend to do?” asked Shinar. Perhaps he did, but even some members of his team would later question Harel’s handling of the case, pointing out how long it took for him to act on Bauer’s information because of early missteps. More than two years would elapse between Bauer’s meeting with Shinar and the serious preparation for Operation Eichmann, the kidnapping of the famous fugitive. But if Harel’s initial decisions were easy to second guess later, there is no doubt that in the end he implemented a stunningly daring plan that was brilliantly executed. Shinar, the Israeli representative in West Germany, returned to Israel for a visit shortly after Harel received the Eichmann news. That allowed the Mossad chief to question him further about his conversation with Bauer, and, most significantly, to get his personal evaluation of the man. “What Dr. Shinar told me about Fritz Bauer’s personality impressed me a great deal,” Harel wrote, adding that he assured Shinar that he would send a special envoy to continue the contacts with Bauer and elicit additional information. The man he chose for that task, Shaul Darom, had gone to France in 1947 to study art and then linked up with a group there that funneled Jews to Israel. He did well both as a painter and as an intelligence agent. He had “a natural flair” for such work, Harel reported, and he moved easily around Europe as an increasingly recognized artist who spoke several languages. Darom and Bauer met in Cologne on November 6, 1957. The meeting yielded key pieces of information. Bauer explained that his source was a half-Jewish German in Argentina who had written to the German authorities after he had read in the newspapers that Eichmann had disappeared. Bauer did not reveal the man’s name at that point, since he was corresponding directly with him and he wanted to protect his source. But he emphasized that the details the source provided corresponded to what he already knew about Eichmann and his family, including the ages of the sons who were born before his wife Vera and those boys had also left Germany, supposedly to live with a second husband. The informant provided an address for the man he presumed to be Eichmann: 4261 Chacabuco Street in Olivos, a suburb of Buenos Aires. Those words left little room for ambiguity. As a representative of the law in West Germany, Bauer was, in effect, urging the Israelis to come up with a practical solution that ignored normal legal procedures. The only person in Germany he had informed about what he was doing, he added, was someone he trusted completely: Georg-August Zinn, a fellow Social Democrat who was the prime minister of Hesse. Yet Harel’s initial attempts to check out Bauer’s leads resulted in apparent failure. In January 1958, he sent Yael Goren, an agent who had spent considerable time in South America, to Buenos Aires, with strict instructions not to take any actions that might attract attention. Accompanied by an Israeli who was doing research in Argentina, Goren checked out the address that Bauer had provided and the neighborhood—but they immediately concluded that something was off. It was an impoverished area, the street was unpaved and, as Harel put it, “the wretched little house could in no way be reconciled with our picture of the life of an SS officer of Eichmann’s rank.” At the time, the common assumption was that prominent Nazi fugitives had managed to smuggle out vast wealth, most of it seized from their wartime victims. In all likelihood, Harel’s “belief” was shaky at best, but he did take the logical next step: he asked Darom to meet with Bauer again, this time insisting that they had to learn the name of his source so that they could check his story further. On January 21, 1958, they met in Frankfurt and Bauer quickly relented, providing the name of Lothar Hermann and his address in Coronel Suárez, a city more than 300 miles from Buenos Aires. Bauer also provided a letter of introduction for whoever Harel would decide to send Hermann’s way. That somebody was Efraim Hofstaetter, a top police investigator who was on his way to South America on a different case. Harel asked him to check out Hermann once he had completed his other business, supplying him with Bauer’s letter of introduction. Hermann rebuffed his request that they meet in Buenos Aires, so Hofstaetter traveled on an overnight train to Coronel Suárez. When the traveler knocked on Hermann’s door, Hermann invited him in but immediately asked for assurances that he really represented the German authorities, which was the cover story that he and Harel had agreed on. “How am I to know that you are telling the truth?” he asked. The Hermanns had lived in Olivos, the suburb of Buenos Aires, until 18 months earlier, where they were “accepted as German in every way.” Sylvia, the daughter, began dating a young man named Nicolas Eichmann, who had no idea she was partly Jewish. He visited their house on several occasions, and once he remarked that it would have been better if the Germans had completed the extermination of the Jews. He also explained that he did not have a distinct regional accent because his father had served in many different places during the war. Prompted by a news report about a war crimes trial where Eichmann was mentioned, Hermann concluded that Nicolas was his son. In those days, many Nazis felt so much at home in Argentina that they took only minimal precautions—and, while Adolf had been living under an assumed last name, his sons never bothered to change theirs. But Nicholas did take one precaution when he started seeing Sylvia: he made a point of never revealing his home address. When Nicholas and Sylvia wrote to each other after she moved, he instructed her to mail her letters to a friend’s address. But that only strengthened Hermann’s suspicions, and soon he was corresponding with Bauer. At that point, Sylvia, “an attractive woman of about twenty,” as Hofstaetter described her to Harel, entered the room. It was clear that, whatever she had once felt for Nicholas, she had decided to help her father in his quest to confirm his theory. When Bauer asked Hermann to go to Buenos Aires to investigate further, the blind man took his daughter along not just to serve as his eyes but also to exploit her ties with Nicholas. With the help of a friend, she located his house and simply knocked on the door. The family had five children, three born in Germany and two born in Argentina, Sylvia added. Although the ages of the sons born in German tallied with what Bauer already knew about Eichmann, Hofstaetter remained cautious. “What you say is pretty convincing but it isn’t a conclusive identification,” he said. He added that Vera may have remarried but allowed her first three children to keep her first husband’s name. Lothar Hermann insisted that there was no doubt that the man she was living with was Eichmann. Promising to cover his expenses, the Israeli told Hermann he needed him to get more information about the suspect—what name he was using, where he worked, any official photograph or personal document, and fingerprints. Returning to Tel Aviv, he reported to Harel that he had found Hermann to be “impetuous and overconfident,” indicating he had doubts about his story. But he was favorably impressed by Sylvia, and recommended following up quickly since she was planning to travel abroad soon. Harel approved additional funds for Hermann’s expenses so he could conduct further research in Buenos Aires, but did not get the results he was hoping for. Lothar and Sylvia Hermann learned from a property registry that the owner of the house on Chacabuco Street was an Austrian named Francisco Schmidt, and that it had two apartments with separate electric meters, one for someone named Dagoto and the other for someone name Klement. Hermann concluded that Schmidt must be Eichmann, and that he had undergone plastic surgery to change his appearance. That was the year when West Germany opened the Central Office for the Investigation of Nazi Crimes in Ludwigsburg, a picturesque town just north of Stuttgart. In August 1959, Tuvia Friedman claimed to have received a letter from Erwin Schüle, the head of the Ludwigsburg office, mentioning a tip that Eichmann was possibly in Kuwait. Excited, Friedman turned to Asher Ben-Natan, his old Israeli contact from Vienna who was now serving in the Defense Ministry. He even imagined that he might be sent with a few men to Kuwait on a mission to seize Eichmann. But Ben-Natan brushed him off, and so did a senior police official he sent him to. Friedman concluded that those officials were no longer interested in hunting Eichmann, and he turned to the Israeli press to publicize the fugitive’s purported presence in Kuwait. For Bauer, the Mossad’s lack of follow-up with Hermann, combined with the sudden publicity about Kuwait, was intensely frustrating; he was increasingly worried that Eichmann would learn of the efforts to track him and run again. In December 1959, Bauer went to Israel with more information. According to a new source, he reported, Eichmann had traveled to Argentina under the name of Ricardo Klement, which corresponded to the name on one of the electric meters of the house on Chacabuco Street that Hermann had been talking about all along. As Harel pointed out in his defense, Hermann had mistakenly assumed that Eichmann was the owner of the house, not one of its tenants. Realizing what had happened, the Mossad chief assigned a new man, Zvi Aharoni, to follow up. Suddenly, Hermann’s lead looked promising again, but no one knew whether Eichmann was still there. Aharoni, who related that outburst, became one of the harshest critics of Harel’s handling of the Eichmann investigation. “The sad truth is that Eichmann was discovered by a blind man and that Mossad needed more than two years to believe that blind man’s story,” he declared afterwards. Harel had chosen Aharoni to go to Argentina this time, checking whether now they finally could identify and locate Eichmann at the original address that Hermann had given them. The Mossad chief considered him to be “one of the best investigators” in Israel; born in Germany, he had escaped to Palestine in 1938 and later served in the British Army, interrogating German POWs. Aharoni had to finish up another assignment first, which meant an additional delay of a couple of months that left Harel “seething with impatience.” But during that time Aharoni prepared for his mission by learning the background of the case and meeting Bauer. On March 1, 1960, he finally landed in Buenos Aires, armed with an Israeli diplomatic passport under a false name; his cover was that he worked for the Foreign Ministry’s accounts department. Accompanied by a local student who had agreed to help out, Aharoni drove in a rented car to Chacabuco Street in Olivos on March 3. But when they reached the two-family house they were looking for and the student walked up to it pretending to be looking for someone else, it turned out that there were no tenants in the two apartments. Instead, the student saw through the windows that they were empty, and painters were at work inside. Aharoni realized that Eichmann and his family, if they were there earlier, must have moved. The next day Aharoni improvised a plan to learn more. Remembering from the Eichmann file that Klaus, the eldest Eichmann son, had a birthday on March 3, he instructed a local young volunteer named Juan to drive back to the empty house carrying a gift and card for him. The cover story was that a friend, who worked as a bellboy in one of the large hotels in Buenos Aires, had asked him to deliver the package, which came from a young woman; if pressed, he could maintain that he knew nothing more about its origins. Not finding anyone at the front of the house, Juan went around to the back. There, he saw a man talking to a woman who was cleaning something near a hut. Again, Juan pleaded ignorance, saying he was there only to deliver a small package to him. The man volunteered that the family had moved out 15 to 20 days earlier, but he didn’t know where they had gone. This could have been devastating news, suggesting that if Aharoni had arrived just a bit earlier he would have found them at the house. But the man clearly accepted Juan’s cover story and took him to one of the painters who was working in a back room. The painter was equally forthcoming, saying that the Klements had moved to San Fernando, another suburb of Buenos Aires. He didn’t know the address, but suggested that they could go talk to one of Klement’s sons who worked in an auto repair shop nearby. Dressed like a mechanic, the young German confirmed that he was one of Klement’s sons, and Juan heard others calling him something that sounded to him like Tito or Dito. As Aharoni put it later, this was clearly Dieter, the third of the Eichmann sons. Dieter was more suspicious than the Argentine workers. He questioned Juan about his story and who had sent the package. When Juan repeated his story, Dieter said that the street where they now lived had no name or numbers. Realizing that he wouldn’t learn anything more directly and to avoid further questioning, he handed the small package to Dieter, asking him to give it to his brother. Staking out the auto repair shop, Aharoni and his small team decided to track Dieter’s movements after work. The first night they never spotted him leaving; later, they saw two people on a moped, and assumed that the passenger on the back was Dieter. The moped traveled in the direction of San Fernando, and the driver dropped off the passenger near a kiosk. This turned out to be about one hundred yards from a newly built small house on Garibaldi Street, which they would soon learn was where the Eichmann family had just moved. Aharoni made repeated trips to San Fernando, initially talking to neighbors using a variety of pretexts. He confirmed that the German family had moved in recently, and an architect obtained the document showing that plot 14 on Garibaldi Street, where the new house was situated, was registered under the name of Veronica Catarina Liebl de Eichmann, listing both her maiden and married name. After repeated passes to observe the house, Aharoni caught his first glimpse of “a man of medium size and build, about 50 years old, with a high forehead and partially bald” on March 19. The man collected the wash from the clothesline and went back into the house. Excited, Aharoni cabled his superiors that he had spotted a man at Vera Eichmann’s house “who definitely resembled Eichmann,” and that there was no longer any doubt about his identity. He also recommended that he return to Israel right away to help in the planning of the operation to kidnap him. Before he did so, however, he was intent on getting a photo of their quarry. Sitting in the back of a small truck that was covered with a tarpaulin, Aharoni had the driver park next to the kiosk and go get something to eat. In the meantime, he observed the house and pointed a camera through a hole in the tarp. He photographed the house and the surroundings. But he had to delegate the job of photographing Eichmann with a camera hidden in a briefcase to another local helper with native Spanish. Intercepting Eichmann and his son Dieter when they were outside, the helper engaged them briefly in conversation, just long enough to trigger his camera. Aharoni left Argentina on April 9. Harel joined him on the flight from Paris to Tel Aviv. “Are you absolutely sure that he is our man?” he asked. Aharoni showed him the photo that was taken with the briefcase camera. “I have not the slightest doubt,” he replied. It wasn’t just Vera Eichmann’s use of her real name on the property registration that indicated the family’s increasingly relaxed attitude. Wiesenthal, who kept monitoring the rest of the Eichmann family back in Austria, had spotted other telltale evidence that the purported widow was living with her infamous fugitive husband. Eichmann’s stepmother had died, and a death notice in the Oberösterreichische Nachtrichten, the Linz daily, was signed by Vera Eichmann, using her married name. “People don’t lie in these notices,” Wiesenthal pointed out in his memoir. She also signed a similar notice in the same newspaper when Eichmann’s father died in February 1960. “The Eichmanns’ family feeling evidently made them blind to danger,” Wiesenthal added. Wiesenthal also reported that he hired two photographers equipped with telephoto lenses to snap pictures of the mourners at the father’s funeral. They included Eichmann’s brothers, and one of them, Otto, bore a striking resemblance to Adolf. Wiesenthal claimed that this explained the repeated alleged sightings of Adolf in Europe over the years. According to his account, he gave the photos to two Israeli agents who were dispatched to collect them and rushed to deliver them to their bosses. “Anyone with Otto Eichmann’s photograph in his hands would be able to identify Adolf Eichmann—even if he now called himself Ricardo Klement,” Wiesenthal wrote. Whatever the accuracy of those differing versions of events, there was no doubt that the growing evidence indicated that the Israelis were on the right trail and closing in on their target. But Harel and Eitan, the man he had designated to lead the operation on the ground, knew that they had to work out what they would do with Eichmann to get him out of the country before they could kidnap him. That meant arranging a safe house to hold the prisoner, and then the transport to Israel. Harel took charge of making arrangements for the preferred option: flying Eichmann out. But El Al, the Israeli airline, had no flights to Argentina at that time, so they needed to find a pretext to send a special plane. Fortuitously, Argentina was planning to commemorate the 150th anniversary of its independence in late May, and Israel was invited to send its representatives to the celebrations. Harel suggested to the Foreign Ministry that the delegation should fly to Buenos Aires in a special plane, and he worked directly with El Al’s executives to ensure that he had the airline’s full cooperation. They even allowed the Mossad chief to approve the crew that would be selected for the flight. While Harel handled the flight arrangements, Eitan looked into a back-up plan: the much less desirable option of a lengthy journey by sea. He got in touch with the chairman of Zim, the Israeli shipping lines, which had two refrigerated ships at the time. As Eitan pointed out with a laugh, they were used to transport kosher beef from Argentina to Israel. Working with the captain of one of those ships, Eitan arranged for the preparation of a special compartment that would have served as Eichmann’s floating temporary prison if the flight had not worked out for any reason. In other words, he would have been smuggled out with a regular shipment of kosher beef. After two weeks in Israel, a period when Harel prepared the team members who would soon make their way to Argentina using a variety of passports and cover stories, Aharoni landed back in Buenos Aires on April 24. He was no longer posing as an Israeli diplomat but as a German businessman, with a new passport, a new mustache and new clothes. One of the first to follow was Avraham Shalom, Eitan’s deputy for the operation. Landing in Israel after a lengthy mission in Asia, Shalom was instructed to immediately report to Harel. The Mossad chief told him he wanted him to meet up with Aharoni, check out everything about the purported sightings of Eichmann and his family on Garibaldi Street, and to send a coded signal if he felt certain that they had the right man in their sights. Shalom was an experienced agent but, for whatever reason, he nearly blew his cover a couple of times. After reaching Paris on the first leg of his journey, he picked up a German passport with new identity papers. In transit in Lisbon, he and other passengers were required to hand in their passports and then to ask for them back when they were ready to board their next flight—in his case, the flight to Buenos Aires. Shalom forgot his fake name and had to reach behind a startled airport official to point to the passport which he recognized only by its color. When he finally reached his hotel in Buenos Aires and had to register at the desk of his hotel, his mind went blank again for a long moment. Shalom claimed that he was not excited by the whole notion of Nazi hunting, but his emotions must have been churning much more than he let on. When Aharoni took Shalom to see Garibaldi Street, Shalom was favorably impressed. It was “not a real street,” he recalled. “It was a footpath for cars. It was an ideal place for an operation—no electricity, few people.” The only lights came from the occasional passing car. By then, the Israelis were no longer startled by the notion that the once powerful Eichmann lived in such humble surroundings. By the time more members of the team arrived, Aharoni had confirmed that they were tracking the right man. They also observed his daily routine from a safe distance. They watched him walk to a bus stop to travel to a Mercedes factory every morning, and return by bus to the stop right at the corner of his street at the same time every evening. From there, Eichmann had a very short walk to his house. Peter Malkin, an especially strong member of the team, was given the assignment of grabbing Eichmann first. “Never before in my career had I been even a little frightened,” he recalled. “Now I was terrified of failure.” But Eitan, who was one of the last to arrive, concurred with Shalom that the conditions were promising. “From the very beginning when I analyzed the situation, the area, the house, the surroundings, I was sure that there was no reason we would fail,” he insisted. Looking back at that momentous gathering of the team of agents in Buenos Aires, Eitan nonetheless admitted that there was always the possibility of something going wrong. Good cars were hard to get in Buenos Aires, and the beat-up vehicles the team had rented broke down often; there was always the possibility, too, that some slip by one of the Israelis could arouse suspicion. Harel, who also flew to Argentina but stayed in downtown Buenos Aires to monitor the action from a short distance, had given Eitan a pair of open handcuffs, keeping the key for himself. If the Argentine police should catch up with them after they seized Eichmann, he instructed Eitan, he had to be sure to handcuff his hand to Eichmann’s. Then he would tell the police to bring both of them to the Israeli ambassador. Eitan took the handcuffs. But keeping this from Harel, he and Aharoni agreed that if the operation really went wrong, they would kill Eichmann. That would not even require a weapon, he pointed out. In fact, along with the others on the mission, he would not be carrying a gun, figuring that this could only get them into deeper trouble if they were caught. “The easy way to kill someone with your hands is to break his neck,” he said. On the evening of May 10, the day before the scheduled operation, Harel gathered the whole team for a final briefing. At this point, everyone knew their assignments, and a total of seven safe houses and apartments were prepared, primarily to provide alternatives for where to hold the captive until he could be smuggled out of the country, but also for members of the team. Those who had been staying in hotels had already been told to check out and move to one of the safe houses. The Mossad chief did not want everyone checking out from hotels on the day of the kidnapping, which could tip off the police about their identities. Then he sounded the inevitable cautionary note. If they were caught, Harel said, they should admit that they were Israelis, but they should also assert that they undertook this action on their own initiative. They were not to admit that this was an official Israeli action. Malkin, who was a master of disguises, put on a wig and wore dark clothes. He also had a pair of fur-lined gloves. Since it was winter in Argentina, this hardly looked unusual. “The gloves of course would help with the cold, but that is not the main reason I bought them,” he noted. “The thought of placing my bare hand over the mouth that had ordered the death of millions, of feeling the hot breath and the saliva on my skin, filled me with an overwhelming sense of revulsion.” Malkin, like so many other members of the team, had lost several family members during the Holocaust. Shalom, Eitan’s deputy, was in the second car with other agents. They were parked about 30 yards away, with the hood up as if they were doing some repairs. As soon as they spotted Eichmann, they were supposed to turn on their bright lights, blinding Eichmann so he wouldn’t see the first car just up ahead. Eichmann normally followed the same routine every day, but on that evening he did not get off the bus the Israelis were waiting for. By eight when he still hadn’t arrived, Aharoni whispered to Eitan: “Do we leave or continue to wait?” Eitan replied that they should wait, but he, too, was calculating they could not do so much longer. Although it was dark, the two parked cars risked attracting attention. As Eichmann turned the corner from the bus stop and walked directly by their car, Malkin turned around and blocked his path. “Un momentito, senõr,” he said, using the phrase he had been practicing for weeks. Eichmann stopped abruptly, and Malkin took advantage of that instant to lunge for him. The problem was that, because of Aharoni’s warning, he grabbed for his right hand instead of his throat and the two men tumbled into a ditch. Eichmann began screaming. “This turned a well-planned and carefully exercised operation into an unholy mess,” Aharoni reported later. He gunned the engine to drown out the screams, while Eitan and Tavor jumped out of the car to help. Malkin grabbed Eichmann by his legs while the two others took him by his arms, quickly pulling him into the car through the back door. They put him on the floor between the front and the back seats, where they had placed blankets both so that he would not be injured and to cover him. Eichmann’s head was pressed against Eitan’s knees, and Malkin sat on the other side. Their captive had no weapon. Aharoni delivered a sharp order to Eichmann in German: “If you don’t keep still, you’ll be shot.” Malkin still had his hand on his mouth beneath the blanket, but when Eichmann nodded, signaling he understood, he took it off. They then drove in silence. Eitan and Malkin shook hands. Eichmann, who was now outfitted in thick goggles so he could not see anything, lay completely still. On their way to the main safe house, they stopped to switch license plates. They briefly lost the second car that was supposed to be with them, but it soon reappeared and followed them to the designated villa, where other members of the team were anxiously waiting. The Israelis walked Eichmann to the small second floor room prepared for him, and put him on an iron bed, shackling one of his legs to its heavy frame. They undressed him and a member of the team who was a doctor examined his mouth to make sure he did not have any poison. The prisoner protested that after all this time as a free man he was not taking such precautions, but the doctor still removed his false teeth to be sure and then inspected the rest of his body. Eitan, Shalom, Malkin and Aharoni were all in the room, watching while the doctor checked his armpit where normally SS officers had a tattoo with their blood type. Instead, Eichmann only had a small scar, which later he admitted was the result of his efforts to burn away the tattoo with a cigarette when he had been detained by the Americans at the end of the war. His captors had failed to realize his true identity then. As it turned out, Eichmann broke down much sooner than anyone expected, making that procedure unnecessary. When Aharoni asked for his name, he replied: “Ricardo Klement.” But when he asked him his height, shoe size, and clothing size, each of his answers matched those in his file. Then Aharoni asked him his Nazi Party membership number, and he provided the correct answer. The same thing happened when he asked him for his Nazi Party and SS numbers. He also provided his correct date and place of birth—March 19, 1906 in Solingen, Germany. “Under which name were you born?” Aharoni then asked. Just before midnight, Aharoni and Shalom drove to downtown Buenos Aires where Harel was waiting in a coffee shop for news. As Shalom recalled, the Mossad chief had been switching coffee shops periodically according to a pre-planned schedule to avoid attracting attention. “I don’t know how many teas he had,” he said, laughing. The special El Al flight, a turbo-prop Bristol Brittania carrying the Israeli delegation, landed in Buenos Aires just before 6 p.m. on May 19. The delegation was headed by Abba Eban, a minister without portfolio who had already served as Israel’s ambassador to the United States and the United Nations; he would later become the country’s highly effective foreign minister. Prime Minister Ben-Gurion had told him earlier that the flight’s real mission was to bring Eichmann back to Israel, and that information was shared with only a small number of the others on board. But the presence of three unfamiliar men in El Al uniforms who did not even pretend to be carrying out any flight duties tipped off most of the crew that something was afoot. As a prisoner, Eichmann was more than obedient. “He behaved like a scared, submissive slave whose one aim was to please his new masters,” Harel observed. Initially, the prisoner was terrified his captors would execute him or poison his food. And he seemed almost relieved to hear that the plan was to have him stand trial. He tried to convince his captors that he should stand trial in Germany, Argentina, or Austria, but when Aharoni told him this was a non-starter, he even agreed to sign a statement declaring his willingness to go to Israel to be tried there. During this whole period, the Israeli team kept monitoring the newspapers, fearful of any indications that the Argentine authorities had learned of Eichmann’s kidnapping. But as Nicholas Eichmann indicated later, the family, while suspecting the Israelis were behind the father’s disappearance, were not about to make any public statements that could tip the Argentines off to his real identity. The Israeli team’s main task was to prepare to get Eichmann on board the El Al flight. Shalom repeatedly drove to the airport to familiarize himself with the route and make himself known to the guards. When the plane was parked in the maintenance area, he could come in and out without being stopped. On May 20, the scheduled departure day, Shalom made a final inspection of the aircraft and sent a courier to Harel informing him that it was open and safe. Earlier in the day, another member of his team had told key crew members that the plane would be carrying a passenger wearing an El Al uniform who would appear to be sick. They were not told his identity, but the nature of the mission was now clear. Back at the safe house, Eichmann was completely cooperative as he was bathed, shaved and dressed in the airline’s uniform. When the team doctor brought out an injection to sedate him, the prisoner assured him this was not necessary since he would remain quiet. But the Israelis were not about to take that risk. Seeing that they were determined to stick with the plan, Eichmann once again cooperated fully. By the time the agents were ready to take him out of the house, the drug was already beginning to work. But Eichmann was still alert enough to point out that they had left off his jacket, asking them to put it on so he would look exactly like the other crew members. Eichmann dozed as he was driven in a three-car convoy to the airport. Seeing that all the passengers of the first car were in El Al uniforms, the guard opened the gate and allowed everyone through. Once they reached the plane, the agents kept Eichmann surrounded tightly and supported him as he was maneuvered up the steps. Deposited in the first class cabin, he was near other “crew” members who also pretended to sleep. The cover story was that they were all part of the relief crew that needed to rest up before they would take over later. Just after midnight, which meant the date was officially May 21, the plane took off. When the plane left Argentine airspace, the “crew” in the first class cabin got up to embrace each other and celebrate their success. The rest of the real crew finally learned the identity of their mystery passenger. Harel was on board, but most of the other agents who had carried out the operation—including Eitan, Shalom, and Malkin—were not on the flight. They would have to make their way out of Argentina separately, arriving back in Israel days later. While their deed soon became public knowledge, their roles in it remained secret for years to come. Friedman did add, “The story was given me second-hand so I will not swear to its accuracy.” Eitan, the field commander of the kidnapping who had helped drag Eichmann into the car, stated flatly that nothing of the sort ever happened. Wiesenthal also published his first account of his role in his 1961 book Ich Jagte Eichmann (I Hunted Eichmann). The title alone suggested that he was claiming a major part of the credit, although his assertions in this and subsequent public statements and writings were often more measured. He was happy to report that Yad Vashem sent him a cable on May 23, 1960, after Ben-Gurion had announced Eichmann’s capture and arrival. “HEARTY CONGRATULATIONS ON YOUR BRILLIANT ACHIEVEMENT,” it read. Until his death in 1968, Bauer, Hesse’s attorney general who had provided the key information that led the Israelis to Eichmann, did not seek any public recognition for his role. As soon as he had returned to Israel with Eichmann, Harel had sent a message to one of his men in Germany. The Israeli met with Bauer in a restaurant a few hours before Ben-Gurion made the announcement about Eichmann’s capture. When he told him the news, Bauer embraced him and his eyes filled with tears. He was elated. But Bauer and Wiesenthal were in occasional touch with each other, and Bauer never betrayed any resentment for the fact that the other man was more in the spotlight than he was. Harel was another story, however. Since he could not publicly claim the credit while he was still running the Mossad, he fumed from the very beginning at the growing impression that Wiesenthal had played the central role in Eichmann’s capture—and at Wiesenthal’s willingness to play along with that perception. The former Mossad chief did not claim that Wiesenthal “had not exerted himself over the years in the pursuit of Eichmann, nor that he had declined to lend assistance when asked.” But he was incensed by what he saw as Wiesenthal’s efforts to take advantage of Israel’s official silence on how the operation was pulled off. “At first he proceeded with some prudence but, taking Israel’s silence for consent, he became progressively bolder, to the point of arrogating to himself full credit as the brain behind the capture of Adolf Eichmann,” he wrote. The choppy manuscript, which includes a collection of documents, is an emotional assault on Wiesenthal’s character. Above all, it contains an implicit plea to acknowledge the author’s own primary role. In the small community of Nazi hunters, this dispute would continue unabated even after the death of both antagonists (Harel died in 2003, and Wiesenthal died in 2005). But for the broader public, the infighting rarely registered. Far more interesting for them was a question that Harel asked himself when he had gone to see his famed captive at the safe house in Buenos Aires. This would be the question on everyone’s mind when Eichmann was put on trial in Jerusalem. Excerpted from The Nazi Hunters by Andrew Nagorski and reprinted with permission of the author and the publisher, Simon and Schuster. 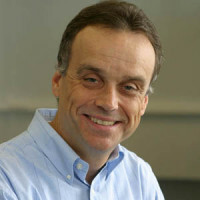 Andrew Nagorski served as Newsweek’s bureau chief in Hong Kong, Moscow, Rome, Bonn, Warsaw, and Berlin. He is the author of several books, including Hitlerland, and has written for countless publications. The Nazi Hunters was published May 10.